This past season Buddy Hield (DX: 7, ESPN: 6) captured the basketball world’s heart as the fast talking Bahamian delivered a break out season at Oklahoma. He thrived on his sharp shooting, as he led Oklahoma to the Final 4 while elevating his stock from 2nd round to a possible top 5 pick. Hield’s two strongest selling points are his shooting accuracy and ability to get off a high volume of 3PA. He put on a Steph Curry-ish shooting display as a senior, averaging more 3P per game than any other NCAA player while converting a staggering 46%, backing this up with 88% FT. Many of these shots came off the dribble, as only 68% of his 3P were assisted. Combine this with adequate tools for an NBA SG, no debilitating weakness in his game, and the work ethic to continue to progress at an above average rate and it is easy to see why he is regarded as a strong candidate to be an ideal floor spacing SG. Hield is often compared to a more athletic JJ Redick, and a possibly superior version of Redick is certainly an adequate upsisde for a mid-lottery pick in this draft. Is Redick really a fair comparison? I have skepticism regarding Hield’s ability to attain that Redick’s of goodness. Redick is a better shooter who has picture perfect form and shot 40% from 3 and 92%+ FT in each of his first 3 NCAA seasons. Hield shot a mere 35% from 3 and 80% FT over his first 3 seasons, which casts significant shade on his senior shooting numbers (although in fairness they were superior to Redick’s senior %’s). While there was clearly genuine progression in his senior season shooting ability, shooting percentages are heavily plagued by variance and it’s exceptionally unlikely that Hield’s senior percentages are indicative of his true shooting ability. He is nevertheless a very good shooter, but not likely to be an outlier shooter on par with Redick, Steph Curry, Kyle Korver, etc. Other than his shooting, Buddy does not have many notable strengths in his profile. His tools are roughly average for an NBA SG, which can be viewed as a strength for a great shooter. He can score in transition and has enough handle and athleticism to create his own shot off the dribble. If there is a second feature to his game, it is that he created an excellent volume of his own shots at the rim this past season and increased his FT rate. With 55% 2P to complement his great 3P% and FT%, his offensive game appears to maximize the sweet spots of 3’s, layups, and FT’s similar to James Harden. But as his scoring improved, he saw a spike in turnovers while his assists stagnated, resulting in an atrocious assist to turnover rate for a senior guard. Any team drafting him should be extremely worried that his lack of vision will prevent his slashing game from efficiently translating to the NBA, especially since he is not the shiftiest player. He should be able to attack closeouts and finish in transition, but I doubt he can efficiently penetrate NBA defenses with regularity given his poor vision. Defensively he lacks the quickness to guard PG’s and the size to guard SF’s. And he is not good at guarding his only competent position of SG. It is conceivable that he could become average a guarding NBA SG’s, but a low floor, low upside, and limited versatility on this end makes it difficult to get excited over an old guard with a 1.5 dimensional offensive game. Hield’s work ethic inspires some optimism to overcome his flaws, but he turns 23 in December and has limited time to improve before he reaches his peak. Perhaps his career will mirror that of Redick, who didn’t become a useful rotation player until his 4th season at age 25. But JJ Redick is an outlier example of a one dimensional shooting senior becoming a solid starter, and choosing him as a Hield comp undersells nuances to Redick’s skill, feel, basketball IQ, and pro development that enabled his success. Hield is more likely to be a compare to Doug McDermott or Jimmer Fredette than Redick. My favorite Hield comparison is Anthony Morrow. He can easily populate his game outside of shooting to be a rich man’s Morrow (most readily by not being awful on defense). Also he can make a greater shooting impact by getting off a higher volume of 3’s, even if he 3P% will likely be lower. A more complete Morrow is a useful rotation player, and if his work ethic leads to surprising leaps in his game, Hield will become a starting caliber SG. Buddy is worth a 1st round selection, but his equity to be an above average starter is slim, and he isn’t going to become an all-star. It is possible that I am underrating the value of his massive 3PA rate, his slashing ability, and his odds of becoming competent defensively, but I simply do not see the upside to justify a lottery selection. This is every draft nerd’s free space for SG to rate above Hield. Baldwin is a much better passer and defensive player than Hield while being 2.3 years younger. Given that he also has a better career 3P% with 80% FT and a similar physical profile, it is a layup that he is better than Hield. Hield’s key edge is that he attempts more than twice as many 3’s as Baldwin, who struggles to shoot off the dribble and has a slower trigger. It seems that Baldwin should be able to increase his 3PA rate in the NBA as he plays more off the ball, but it is a noteworthy flaw in his profile. And while Baldwin doesn’t have the burst or handle to regularly penetrate to the rim, his youth and passing nevertheless place his slashing upside far above that of Hield. It is arguable that Hield is a slightly better offensive prospect due to his edge in 3PA rate, but once you factor in defense it is no contest: Baldwin is clearly the superior overall prospect. Baldwin should become something on a scale of Delonte West to George Hill a significant % of the time. He’s a solid 3 + D prospect with a hint of PG skills and versatility to defend either guard, and deserves to be picked in the top 10. Murray is younger and has higher risk of busting completely, but he also has a sliver of star upside that Hield lacks. 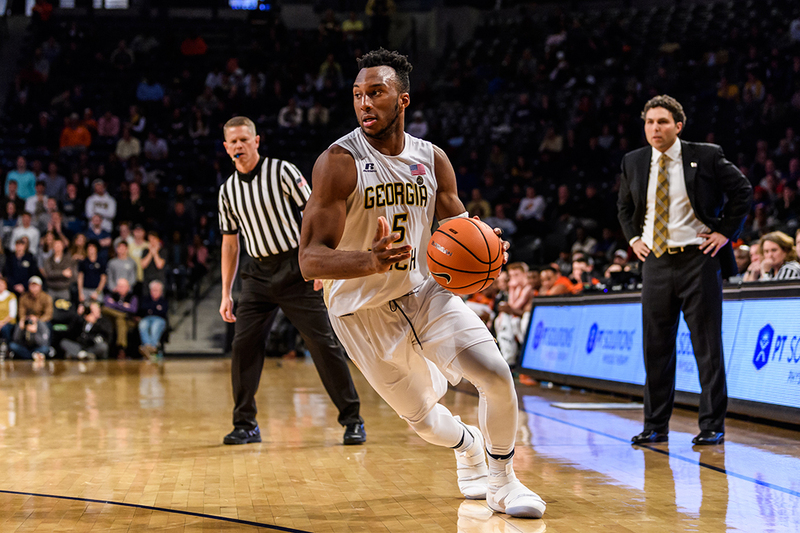 Murray’s best selling point is his slashing potential, as he posted an excellent assist rate for a freshman wing and pairs this with a slithery ability to penetrate through defenses. If he adds strength and improves his skills at a good rate, he could become a weapon offensively as a James Harden lite. While Murray won’t be nearly as good, Harden exemplifies how vision and shake can sum to elite slashing without an explosive first step. Murray’s biggest wart is his shooting (29% 3P, 66% FT), which makes him far more likely to resemble Monta Ellis, Michael Carter Williams, or 50 year old Kobe than Harden. But unlike Hield who will never have adequate PG skills, Murray could conceivably improve to an average 3 point shooter. Murray’s defense is a mystery box. ESPN labels him as a good defender, DX labels him as indifferent albeit with upside. His steals, blocks, and rebounds indicate good potential on this end. He could be as poor as Harden or solidly good on this end. Murray is a slippery prospect. There is a high upside, but it requires a long parlay of conditionals to be reached. He provides an example where behind the scenes evaluation would be particularly helpful. With personality green flags he’s a tantalizing sleeper that belongs in the lottery, without them he’s a long shot in the dark. I cannot say that he’s a definitively better prospect than Hield, but he has a much clearer path to stardom and a more attractive gamble from afar. LeVert’s stock has been harmed by having his past two seasons prematurely ended by injury, and he has fallen from possible mid-1st rounder all the way to round 2. LeVert offers a balanced package as a role playing wing, as he is 8 months younger, 2 inches taller, better defensively, more defensively versatile, better at passing, and has a better career 3P% than Hield. That’s a whole lot of goodness that he brings to the table that Hield lacks. Hield’s advantages are his 3PA rate and his lack of an injury history. He is also stronger and perhaps slightly more explosive, but it’s difficult to see his trigger and ability to shoot off the dribble as more valuable than LeVert’s more well rounded package. LeVert’s versatility offers a prototypical role player who fits in any lineup, and his summation of many small strengths can add up to more upside than meets the untrained eye. Hield still may be the better overall prospect depending on your optimism (or lack thereof) regarding LeVert’s ability to stay healthy, but the two prospects are close. Why use a lottery pick on Hield when you can nab LeVert in the late 1st or early 2nd? Just kidding! Somebody has to explain to me why he is even top 50. In spite of being a freshman, he is sophomore aged and his most notable statistic is 39% 2P. His big selling points are that he is an average shooter and has a 7’0″ wingspan. Other than that he’s an average athlete and unspectacular rebounder and passer. Nobody knows if he’s good on defense because he played in Syracuse’s zone, but he posted curiously low steals and blocks for a wing with 7’0″ length. 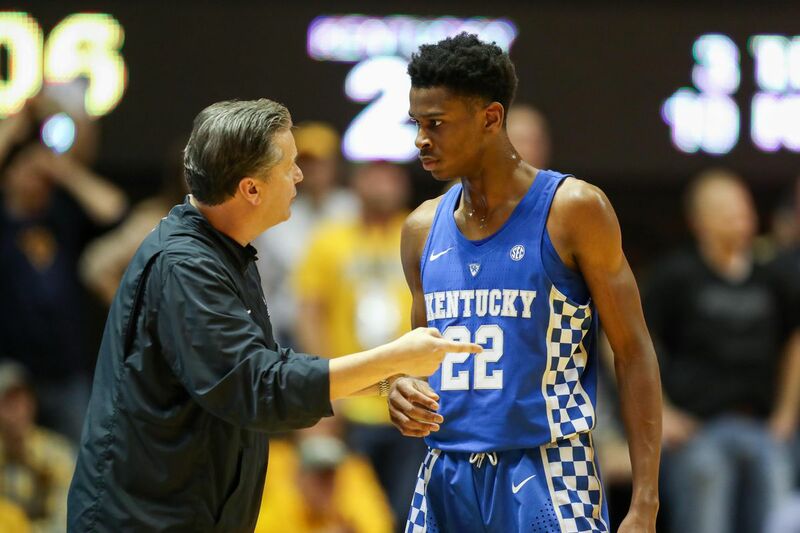 According to Chad Ford he interviewed well, but it is hard to see that mattering when the position he seeks is “NBA basketball player.” I would like a hit of whatever Ford is smoking to rate him as a lottery pick.